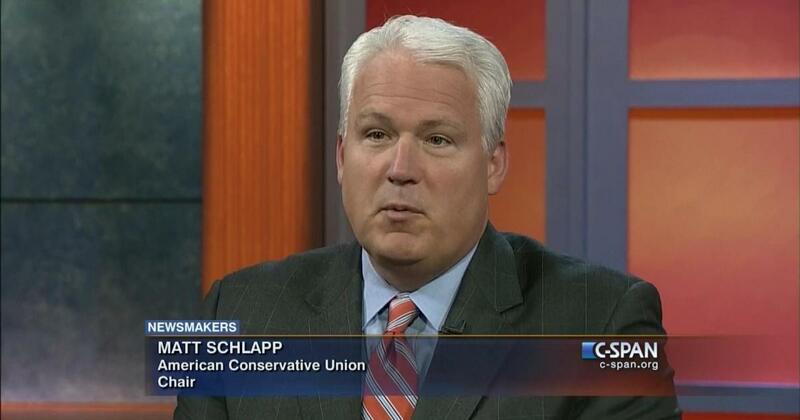 RUSH: Matt Schlapp, you know who Matt Schlapp is? Matt Schlapp, at the moment, runs CPAC. And he has been a presidential adviser, not for Trump, but he’s been a player in the inner workings of Washington. He has a piece, an op-ed piece in TheHill.com today: “Good Riddance to James Comey, Obama’s Enabler.” And I just want to read some excerpts of this because it’s really, really spot on. It’s a great summation of the real James Comey, and I think it also provides an honest evaluation of the Trump administration at the end of it. Now, here’s a pull quote: “In the end, the only cause to which Comey commits is his own.” Here’s another pull quote, and this is actually the meat of the piece. “Obama and Comey almost made it all the way to the end of Obama’s term without having a potential political conflict affect their collaboration. That was a major accomplishment considering the abuses carried on by Obama administration,” that Comey didn’t touch and wasn’t interested in. They are “Running a program to spy on adversarial reporters,” the Obama administration did this. The Obama administration used “the IRS to persecute political opponents in Tea Party nonprofits; overseeing a sloppy program of arming violent criminals along the border,” that’s Fast and Furious. The Obama administration “orchestrated a cover-up to blame a YouTube video for the death of Ambassador Chris Stevens in Libya; and of course the scandals, wrapped in abuse and surrounded by law breaking, concerning the server, emails and smartphones of former-Secretary Clinton and her enablers.” And Obama knew about that too. He emailed her on that server. The theory is that Comey and Obama were blood brothers, working together to maintain an image and picture of the Obama administration as lawful and legal and progressive and wonderful and all that, and the only way that could happen is if Comey and the FBI were to ignore all of the crimes and scandals that were there to be seen and reported on by anybody and everybody in America, purposefully, dutifully ignored them. And then in October when Comey sent the letter, his theory is that Comey’s all about protecting Comey. Comey puts his finger in the wind and figures out which way it’s blowing. If Obama’s popular, then Comey’s gonna ride his coattails. If Trump is getting in trouble, Comey is gonna abandon him. Comey’s not gonna put himself anywhere where his precious reputation can be sullied. Comey is not gonna do anything, first and foremost, that does harm to James Comey, at least in his efforts and intentions. He probably screwed up here and has made himself, until the Democrats have ridden to his rescue, he didn’t distinguish himself. He did have one of these impeccable reputations. Schlapp also believes here that a lot of this, all of this went to Comey’s head. And that he actually began to think of himself as the player in Washington, the person with the power to determine who would be and who would not be elected president. A really, really, really good, comprehensive, and in some ways devastating, piece.